Kickstart your motivation with our Top Tips, to make 2018 your best cycling season ever! Happy New Year to all our visitors, subscribers and supporters. 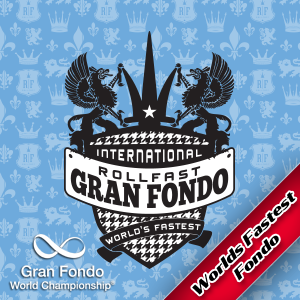 Happy 5th Birthday to Gran Fondo Guide! It was five years ago today that Gran Fondo Guide began it's journey as a small San Francisco inspired start-up! The calendar has ticked over to the New Year and it's like someone clicked a light-switch and the focus on next season takes on a sense of urgency. This can lead to asking yourself a very important question: When to begin serious training for the road season. You might be feeling a bit bloated and lethargic after all that festive fun. Kickstart your Motivation with our Top Tips to make 2018 your best Cycling Season! Now’s the time to sit down, have a think about what your goals are. You could have few goals, for example; ride my first 30 mile cycle challenge; ride my first century; lose 10 pounds, ride that epic Gran Fondo. Have main goal and make the rest secondary goals. It's best to write down your goals and stick them on the fridge - to constantly remind you. 2. Enter your Bucket List Rides now! There's no better way to kick your motivation by putting your money where your mouth is. There’s no better feeling like knowing in 6 months’ time you’re going to tackle some epic Challenge. Entering one or two of your main events early can often save you money with early bird savings and can be the difference in getting an entry. Some big events sell out well in advance. Don’t miss out! For many of us, it’s dark, cold, wet and miserable. Riding a road bike in winter conditions isn’t as much fun or as safe when it’s below zero. If it’s been anywhere close to freezing over night, black ice is a constant risk you should avoid. If it’s below zero and road conditions are icy, why not go off road? Keeping off main roads when conditions are bad is much safer. Fat Bike, MTB, CX, Gravel or an Endurance bike would be the way to go, with wider knobby tyres to help with the wet, muddy and icy conditions. Riding off road is great fun, improves your technical skills and can be a better core workout than on a standard road bike. If you’re new to off road riding, plan your route and halve your distance. Aim for a couple of hours and most all enjoy it! Remember the more bikes the better, you have to satisfy that N+1 rule -the number of bikes you need, is always one more than you currently have! If you can’t get out on your road bike because of the weather, hit the gym and consider doing some core and strength training. Swimming could be the next best thing when the weather is really bad. Aim to do a constant set of lengths for say 40 minutes. As you get used to it, build up your time. It’s a great aerobic workout and also helps strengthen your core too. There's no better choice then getting out on your bike if the conditions allow. However, indoor training is sometimes a must. Indoor trainers don’t have to cost a lot and an hour on the Turbo is better than an hour on the Sofa. More and more cyclists are investing in Smart Trainers and trying Zwift which can get very addictive and have a whole social side too. If you like indoor training, then Zwift and Smart Trainers could add a whole new dimension to your cycling. Wider Winter Tyres for Standard Road Bikes - try fitting 25mm / 28mm puncture proof road tyres that have a good tread. These will give more grip and save you from changing punctures. Check you have clearence for 28mm, 25mm will fit for a 10 speed road bike. Try Schwalbe Marathon 25mm tyres. Bomb Proof. Layer Up - To stay warm layer up using a long sleeve base layer, long sleeve jacket and a gilet on top. Protect Your Best Bits - Your head, feet, hands and core are the most important parts. Water resistant booties, a winter cap under your helmet and winter gloves are a must. Cheap Gilet Hack - If you don’t like the cold and want to keep your core warm, one of our hacks is to buy a normal everyday Gilet and wear that as a cheap top layer. You’ll sweat inside but your other layers will keep you warm. Keeping your back muscles warm can fend off any back related problem. Nice and Dry Backpack Hack - Take a small backpack. Put your money, phone, charger and a spare base layer, rain jacket and extra gloves and spares in it. If you have to stop for a puncture for some reason, then, immediately change over your base layer to keep your core warm, change your puncture and put on your spare gloves. Hey Presto your back riding and still warm. Shorter Less Intense - When the weather isn’t great, try and choose a route you know and ride in zone 2 for up to 2 hours. Don't avoid hills just ride them at a lower intensity, don't go mad. Plan a route that uses quieter country lanes with less cars. Wear clothing that has reflective strips or panels and always have lights. These day’s cheap rechargeable LED lights are the way to go. Bright with lots of flashing modes. After every ride wash your bike in warm water, dry it, WD40 it and lube the chain and running gear. Keep your bike mechanically sound. Booking an early season winter training camp could help kick start your season. In North America you can head south and west, where the weather is better. Offering early season training camps, pro-level on-course support, gourmet rest stops, catered receptions, concierge services, post ride massage, bike wash/valet, and a limited edition ALÉ custom cycling apparel, Malibu GRANFONDO is the Complete Cycling Experience. Day one hosted by Four Seasons Hotel Westlake Village; day two hosted by Vintage Grocers Malibu. Kick-start your Season at the Malibu GRANFONDO, March 3 - 4, 2018 - Limited to 250 athletes. Named "America's Five-Star Gran Fondo" by Peloton Magazine, and ranked among Gran Fondo Guide's Top 15 Gran Fondos in North America, the Malibu GRANFONDO offers athletes an unparalleled cycling experience – a total of 171 kilometers over two days for cumulative time. Athletes experience two completely different courses in a single weekend, each offering unique terrain, vistas and challenges. Looking for a warm place to Gran Fondo this winter? Then don’t overlook this Ultimate Bucket List Ride! The Ride for Hope Gran Fondo will take place Saturday, March 10, 2018. Enjoy a weekend of relaxing island life while making a true and meaningful impact for the Bahamas as a community. Ride for Hope’s Gran Fondo Eleuthera will take you on an excursion through Eleuthera Island, where you’ll pedal past turquoise, crystal clear waters, quaint settlements, and be taken on a journey that combines scenic riding, historical sites with little to no traffic. The route, if riding over 50 miles will even lead you on a venture over the world famous glass window bridge. Throughout the weekend you can experience true freedom and island living as you wander the winding roads and explore off the beaten track trails leading you to seemingly untouched private beach escapes, hidden treasures, caves and lots of outdoor adventure. Proceeds from all Ride for Hope participants’ fundraising efforts are donated towards the treatment and research of cancer in the Bahamas. Registration is open online at www.rideforhopebahamas.com Not able to physically be there on the day of the Ride but, want to participate in the true spirit of the fundraiser? Now there is an option to sign up as a virtual rider! Time to start thinking about eating more healthily. There’s no point doing quality training and undoing all that good - eating unhealthy! The leaner you are the better you'll climb. 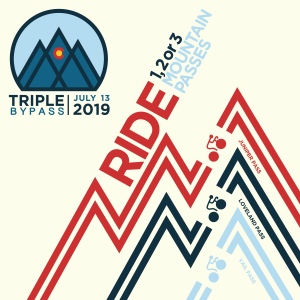 For Gran Fondo's in the mountains, it's essential be as light as possbile - especially when you're tackling rides with 12,000 feet or more of climbing. For cyclists looking to tackle a Gran Fondo, you need to plan in one longer base endurance ride depending on the weather. Measure your base training ride in time and try to extend it. For example if your normal training ride is 2 hours, then aim for 3 hours, then extend that over time to 4 hours, then 5 hours. 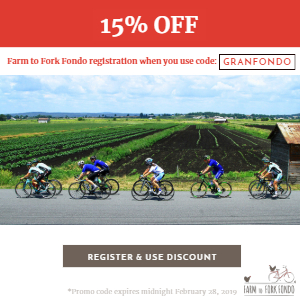 For those planning to ride a Gran Fondo which will typically be around 80 to 100 miles, you need to aim for an endurance ride of around 5 to 6 hours several weeks before the event. For Medio Fondo riders say 4 to 5 hours and for those aiming to do their first Piccolo Gran Fondo around 2 to 3 hours. Remember it’s the time on the bike and riding in Zone 2 that will help you build up your base endurance.